Minister of Foreign Affairs Joseph Malanji during the High Level Consultation meeting on the Situation in the Democratic Republic of Congo in Addis Ababa , Ethiopia. The special Double Troika Summit of the Heads of State and Government of SADC called to discuss matters related to the Democratic Republic of Congo(DRC) has convened in Addis Ababa, Ethiopia. The summit which takes place on Thursday will review and assess the political situation in the DRC following the recently held elections. It will be followed by a consultative meeting of head of states and government of SADC Double Troika members, International Conference of Great Lakes Region; African Union Troika and the African Union (AU) Commission Chairperson. The meeting started off with SADC Ministers of Foreign Affairs.The Heads of State were scheduled to meet at 11hrs. His Excellency, President Edgar Lungu of Zambia is the chair of the SADC Organ on Politics, Defence and Security while His Excellency President Dr Hage G. Geingob of Namibia is Chairperson of SADC. The meeting has attracted 16 Heads of state that include, President Cyril Ramaphosa of South Africa, Angolan President, His Excellency, João Lourenço, and African Union President, Paul Kagame. 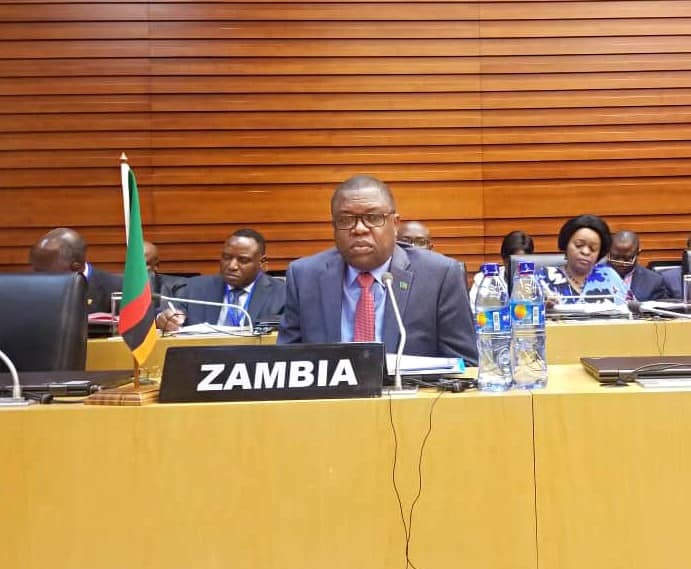 And SADC has applauded Zambia’s Minister of Foreign Affairs, Hon. Joseph Malanji who headed the SADC Electoral Observer Mission in the DRC for the work done by the Mission in the Congo. Deputy Prime Minister and Foreign Affairs of Namibia, Hon. Netumbo Ndaitwa commended Zambia for the role played under difficult challenges. Chagwaaaaaaaaaaaaaaaaaaaaaaaaaaaaaaaa!!!!!!!!!!!!!!!!!!! donot forget tommorow you are require home for national dialogue. So serious with the neighbours issues but ignoring your own house which is fire…….. Us Zambians kulyamo Tata, even Ba Lungu has joined. How much did Kabila pay to Malanji, nothing?? Malanji will be the highest earner in this thing, how much is daily allowances from both SADC and GRZ + monthly salary he hasn’t touched in last 2 months? Name your new house you will build in New Kasama as Kinshasa House. Keep the chaos going!!! Kufila munsenga bwana. What really are the issues on DRC? I thought there’s a presidential election petition in court? Buggers are just after allowances!!!!!!!! Where is the President? Why is Malanji sitting in for him? Hope our president has to informed Troika meeting that tomorrow is dialogue enamated from election dispute as it was alleged that crooks law was used on the ballot in Zambia in 2016. Please Troika president delegation help Zambia too.